Becca Sutcliff has been haunted for years by unsettling visions of Jessie, certain her friend met with a grisly end. Now the latest deaths have her rattled. Becca can sense that an evil force is shadowing her too, waiting for just the right moment to strike. She feels like she's going crazy. Is it all a coincidence - or has Jessie's killer finally returned to finish what was started all those years ago? 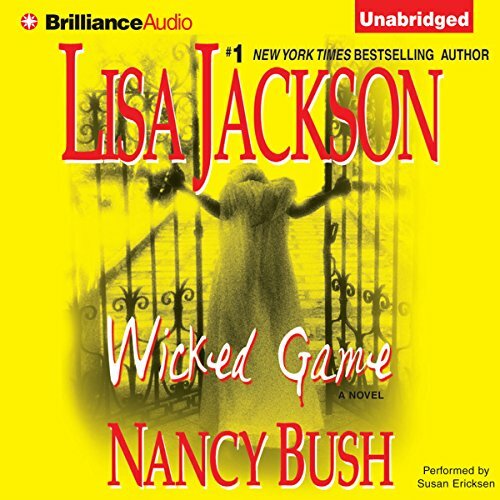 ©2009 Nancy Bush, Lisa Jackson (P)2011 Brilliance Audio, Inc.
A past Lisa Jackson fan, I only finished listening to Wicked Game through sheer determination. Of the 16+ hours, maybe 4 actually advanced the storyline. The rest was teenage angst. I can't believe that I wasted my time listening to this one. The story line was all over the place. I really don’t even want to give this one star. 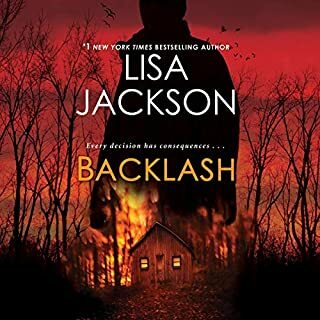 Bad story and even worse narration...Really disappointed me because I always enjoy Lisa Jackson novels. Wasted my money. 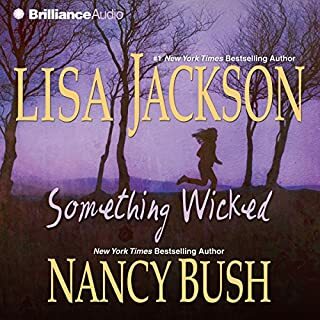 I read 'Something Wicked' by Lisa and Nancy and fell in love ethylene the series. I really enjoyed listening to this. So easy for me follow. Love love love! But it was nice to see where it all started. Would you consider the audio edition of Wicked Game to be better than the print version? Yes, the story has different subplots. She good with changing the voices just enough to keep the characters desperate. Audible has all four of the books recorded. However when you look at the series, the titles are different. I finally looked at Lisa Jackson's website and realized that I had listened to all fours. The titles on Audible are different than those on Lisa's site. Would be nice to have the correct listings. Although I enjoyed the series, it might have been better if they were listed in order. I've seen many reviews complaining about this book having too many loose ends. That may be true, but it's a series. Not one where you can read each book separately, but a series that ties each book together (or so it seems from reading this book). Book 1 contains suspense, mystery, romantic aspect and the paranormal. If those things interest you then I would recommend this book. I hope the rest in the series are good too. Fyi- I'm writing this review on a phone app, so sorry for any missed typos or auto corrections. Having already listened to the Siren Song novels this made more sense to me than it would have if I hadn't known those books. At times this book dragged and was overly repetitive but that's what the speed increase button is for! 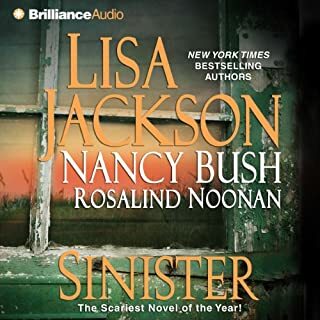 Love Susan Ericksons narration, she gives books a life that not all narrators can give, her narration saved this book from being one I regretted using a credit on. Wicked Series Just That Wicked. .. The story was easy to follow. I wish I had heard this story first. in order.